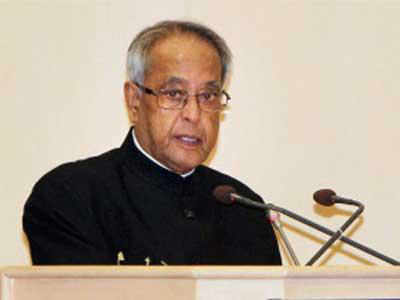 President Pranab Mukherjee today said there is no dearth of talent in the country but the education system needs to comply with the present requirements. Speaking during a round-table discussion on technology, innovation and education, Mukherjee said the country has bright minds and world-class institutions, and some initiatives must be taken to comply with the requirements sought these days. “For God sake it is the time for you. If at the age of 80 I try to learn from my grandchildren, you ought to take little initiative to comply with the requirements…,” Mukherjee said regarding the education system in India. The round-table discussion was attended by Google CEO Sundar Pichai, Snapdeal co-founder Kunal Bahl, Hero MotoCorp Joint Managing Director Sunil Kant Munjal, Paytm founder Vijay Shekhar Sharma, DIPP Secretary Amitabh Kant and other industry honchos. The President said India has one of the largest education infrastructure but not a single Indian institution figured in the top 200 rankings till recently. “I sincerely thank you, particularly Mr Pichai and many others who have come to participate. The subject on which you have spoken and various views which have emerged, I have no doubt will help the policy makers, administrators of the country…to reach at the core point of finding the solution,” he said. The President said India has bright minds as recruitment at all IITs is over 100 per cent. There are world-class institutions, so surely there is no lack of talent and capacities. “… I used to have meetings with the vice chancellors of universities, directors of IITs, and today I am having a totally new generations of the people, brilliant minds…this inspires confidence,” Mukherjee said.